In this course students develop critical thinking, reading and expository writing skills. Students are introduced to text-based expository writing using the drafting process and to the principles of research and documentation. 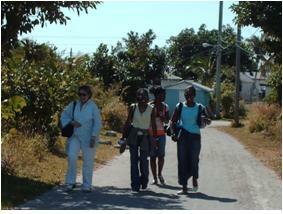 They examine Bahamian texts and cultural productions. Eng 120 reinforces the critical reading, writing and analytical skills taught in Eng 119 with an added focus on argumentation. Students are encouraged, through exploration of complex issues and textual analysis, to become independent writers, readers, speakers and thinkers. An elementary linguistics course which focuses on the similarities and differences of Standard English and Bahamian Dialect. It provides a theoretical background for language majors. A course designed to involve students in reading, discussion, appraisal, writing and rewriting of aspects of poetry, short story, the one act play in order to explore, define and activate their literary talents. In this course students are introduced to the analysis of three literary genres - fiction, poetry and drama - and are exposed to literary terms essential for the close reading of texts. In this course students analyze the elements, styles and techniques of poetry and creative prose by examining major works of prominent writers. They also develop their craft as writers of various forms of poetry, fiction and creative non-fiction through exercises and workshops, editing, re-writing and journaling. In this course students analyse drama as literature and as performed art. They study theatre history and the collaborative processes that take plays from page to stage. They critique plays and stage productions based on their artistic merit and examine the growth of Bahamian theatre. In this course students are introduced to the written literature of The Bahamas post Majority Rule and are provided with a critical framework for the study of Bahamian literature that addresses social, cultural and political dynamics in the contemporary Bahamas. In this course students focus on short stories and novels by prominent authors from five genres of popular fiction - detective, science, fantasy, horror and romance. Emphasis is on themes, forms and the literary conventions of each genre; consideration is given to pertinent socio-cultural and aesthetic influences. In this course, students are introduced to the plays of Shakespeare and their historical and theatrical contexts. Students examine three representative plays. 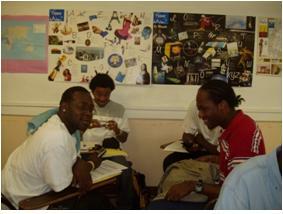 This course introduces students to selected West Indian authors and their works. An overview of the major historical, social and cultural experiences that have shaped the region's literature grounds the examination of both thematic and stylistic elements in West Indian fiction, poetry and drama. This course provides students with a comprehensive overview of some of the best literature for children, a brief history of the literature and the criteria for selecting quality books. 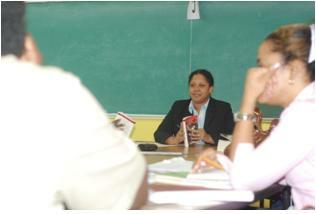 Consideration is given to literature suitable for Bahamian primary schools and to criteria for its selection. In this course students are introduced to the field of contemporary African literature in English and in translation. Students examine the literary, cultural, political and sociolinguistic contexts of African literature through a reading of works by the continent's major writers. This course introduces students to the study of film as text and as a form of dramatic expression. Students examine the history of film and the methods used to analyse film technique and interpret meaning. This course focuses on a critical and analytical approach to the appreciation of poetry, with particular reference to the nature and effectiveness of the style and intrinsic value of the content. An advanced course of writing in four genres: poetry, short fiction, prose and the one-act-play. Emphasis is on the continued development of techniques and styles through readings and students' own writing. This course focuses on the teaching of a variety of writing formats applicable to the tourism industry including brochures, newspapers, and magazine articles. A general interest course, this elective is of particular interest to marketing, journalism, tourism, and business students. In this course students examine major African-American writers from the colonial period to the 1930s. They explore the historical, social and political contexts from which the African-American literary tradition emerged. Students examine the stylistic, ideological and thematic features of African-American literature across genres. In this advanced writing course students analyse and produce writing that addresses issues of national importance in The Bahamas. They conduct research into the cultural, political, social, economic and environmental factors that shape the Bahamian way of life. This course teaches skills required for reading, writing and thinking critically at an advanced level. Special focus is given to writing effective arguments within and across the disciplines. In this course students are introduced to American literature from its colonial beginnings to 1865. Students examine the origins and development of American literature focusing on its sociocultural, historical, political, religious, intellectual and aesthetic influences through representative readings from the Colonial through the Civil War periods. In this course students are introduced to the intellectual, historical and cultural currents in American literature from 1865 to the present. Students examine works and authors representative of important trends in American literary development. In this course students examine the origins and developments of British literature focusing on its sociocultural, historical, political, religious, intellectual and aesthetic influences. They examine representative genres from the Middle Ages to the late eighteenth century for changes in form, theme and style. In this course student examine developments in British literature focusing on various forms and genres of the Romantics, the Victorians and writers of the twentieth century. Students study representative texts from 1785 to the present for changes in form, theme and style. This course introduces students to the short story as a literary genre. Emphasis is on the development of analytical skills and critical idiom pertinent to an understanding of forms and techniques of the genre. In this course students examine the major critical approaches to literature from those of the Greek philosophers to the major schools of contemporary literacy criticism. Students apply a range of approaches to representative texts to understand how literature produces meaning, affects readers, reflects and shapes society. In this course students examine modern world theatre from the 1890s to the present. They become familiar with the philosophies, aesthetics and ideologies that have informed modern drama. Modern plays are critiqued on the basis of form and content. In this course students examine issues in West Indian discourse through the analysis of poetry, short fiction, novels, plays and essays. Students use the perspectives of the region's major literary theorists and critics to inform their analyses. In this course students examine themes, forms and techniques of children's literature from its folk origins to the present through a reading of representative works. They also examine the concomitant philosophical and social forces that influenced and continue to influence writers and young readers. This course offers a detailed examination of a special topic focusing on a theme, author, period or genre. Using close readings, it provides an in-depth analysis of the topic and an understanding of social and cultural factors that influence the creation of literature. In this course students focus on major African-American novelists from slavery to the present. Students explore the historical, cultural, social and political contexts in which the African-American novel has evolved. They examine the stylistic, ideological and thematic features of the African-American novel. In this course students explore the development of the cinematic arts. They examine the historical milestones in film technology, groundbreaking techniques of directors and cinematographers and analyze the relationship between film and their historical contexts. They also critique the thematic and stylistic aspects of cinema as art. In this course students examine various theories of the novel and their application to a practical criticism of specific novels. The emphasis is on a comprehensive view of the theory of the novel from the nineteenth century to the current post-colonial linguistic and feminist revisions of the received form of the genre. This course takes a broad, multidisciplinary approach to the study of Bahamian cultural identity through the reading of various texts. Students examine the influence of region, politics, religion, race, ethnicity, gender and social class in the creation of Bahamian cultural identity. In this course students consider the socio-historical and linguistics factors which contribute to the formation and establishment of language varieties, particularly Bahamian Creole (popularly known as Bahamian Dialect). Students examine the socio-linguistic implications for Creole-speaking countries with distinct national and official languages and receive training in linguistic field methods. This course is an in-depth study of writing by and about Caribbean women. It highlights women's contributions to literature in the region in the context of the historical forces that shaped their social, political, ethnic and cultural experiences. In this course students examine a range of major works from non-English classical and contemporary writers. Emphasis is on works and writers who have had the most influence on Western philosophies of literature and on the writers' place in the social historical milieu. This course focuses on non-Western literatures post 1945. It surveys poetry, drama and prose by critically acclaimed authors from Latin America, the non-Anglophone Caribbean, Africa, the Middle East and Asia. These literatures are analysed according to form and content and are placed in their socio-historical and cultural contexts. In this course students examine various responses to colonialism and post-colonialism through analysis of representative literary works from former British colonial territories: the Indian subcontinent, Africa, Australia and the Caribbean. Students apply a range of post-colonial theories to the analysis of literary texts within historical, cultural and political contexts. In this course students examine a selection of Shakespeare's tragedies and history plays within the context of their production and reception. They examine literary and dramatic elements common to both genres and apply critical approaches to the reading of the plays to arrive at a variety of interpretations. This course focuses on Shakespeare's comedic art as entertainment and social criticism. Students examine this art within the historical, social and cultural context of the period. In this course students focus on the relationship between gender and literature. They analyse the influence of gender on literary texts and examine the ways literature reflects, creates and challenges gender transhistorically and cross-culturally. In this course students examine the socio-cultural, political and economic factors influencing black representation in 20th century American films. They analyse films that represent African Americans both stereotypically and atypically and consider ideologies that inform the style and content of each film. In this course students focus on research and analytic skills essential for undertaking a substantial piece of independent work in a specific area of literary studies. Students acquire skills necessary for writing a thesis proposal by emphasizing research methods, critical approaches and analytic techniques. 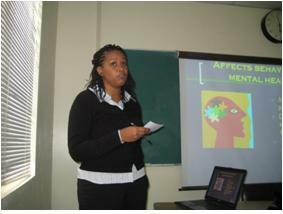 In this course students build on research and analytic skills emphasised in ENG 420 (Senior Thesis I). Students deepen their understanding of literature and critical theory by producing a substantial piece of independent research. Under the guidance of a faculty advisor, students complete a thesis that demonstrates original critical thought. 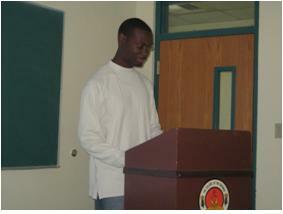 In this course students build on research and analytic skills emphasised in ENG 498 (Senior Thesis I). Students deepen their understanding of literature and critical theory by producing a substantial piece of independent research. Under the guidance of a faculty advisor, students complete a thesis that demonstrates original critical thought. An examination of the structure of language and its function in society. Various areas within the field of linguistics are explored, including the origin, acquisition and neurological foundations of language. A survey of the historical, social and linguistic factors which contribute to the formation and establishment of a language or a dialect, particularly Bahamian Dialect. This course includes training in field methods with emphasis on the collection and analysis of linguistic data. This course focuses on the major factors that determine and influence child language development. It examines the predictable stages of language acquisition with some attention to a typical language development. This course examines the relationship between language and society, and explores language diversity within and across speech communities. It focuses on differences in speech and various social contexts, the social functions of language, and how language conveys social meaning. Content copyright . COB SES. All rights reserved.